If Your Selected Team will win than you will get Points in your account. You will Get 8000 Points On Sign Up that can be used on betting. Earn more Points and make best rank to ger higher prize. 1. Click here to Participate. Note: Open the link in UC Browser. 2. Log In Via Facebook. 3. Bet and Earn Point. 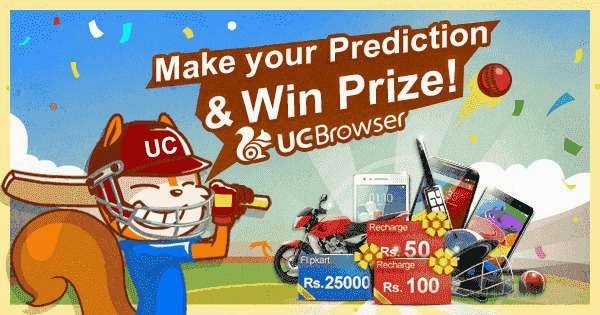 Share UC cricket link on your Facebook and you will get Points for it and also login daily for free points. Why the game was couldn't playing this year??? I want uc guessing game . Why the game is not playing this year?